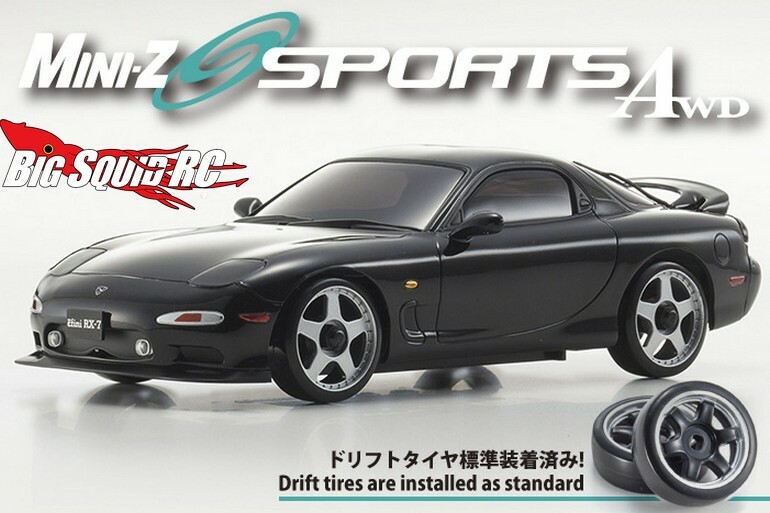 Kyosho MAZDA RX-7 FD3S Mini-Z « Big Squid RC – RC Car and Truck News, Reviews, Videos, and More! The latest Mini-Z to be announced by Kyosho is a Mazda RX-7 FD3S. The RX-7 comes stock with pre-mounted drift tires to help you get your slide-on. A gyro-ready circuit board also comes standard, as does 2.4GHz Perfex KT-19 radio. Underneath the display quality body resides a newly developed AWD sports chassis that is easy to upgrade. The part number for a red RX-7 is #32129R, the part number for the black version is #32129BK, and you can click This Link to visit the Kyosho America website. Hit This Link for tons of more Kyosho news on BigSquidRC.